If you have ever had the pleasure of sitting on a jury during a trial you will know that the act of identifying who had the motive, means and opportunity to commit the crime is a necessary step in narrowing-down the list of suspects. 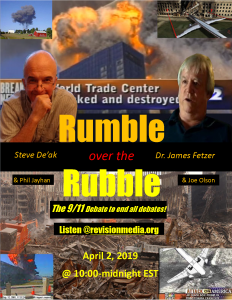 Investigating the crime of 9/11 should be no different and although much has been written about the World Trade Center, in my opinion the easiest way to expose who was behind 9/11 is by plucking the low-hanging fruit of Shanksville. Many people believe the fourth plane, UA Flight 93, was aiming for the White House but it was thanks to the heroism of the civilians aboard that it was forced-down rather than to allow it to reach its target. 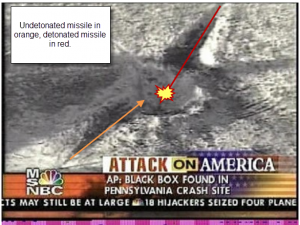 [iii] In this context the Shanksville location for the crash was just an accident, which is believable from the perspective of the official story; the passengers on the hijacked flight had heard about the WTC and Pentagon attacks and surmised that like Flights AA 11, UA 175 and AA 77 UA 93 was going to be used as a missile, so they made the decision to fight back. In the confusion of the onboard struggle the alleged hijackers lost control of the plane, which means it could have gone down anywhere e.g. into a neighborhood, a building or a freeway, but by the grace of God it crashed into an abandoned strip mine in rural Pennsylvania, harming no one on the ground. If terrorism was the motive, then for the perpetrators the UA 93 hijacking was a failure. The story of average Americans who fought to the death in defense of America’s capital digs right into our emotions, just like all good propaganda does. It is a compelling tale of extraordinary circumstances where the true grit that makes America great triumphed; a warm and fuzzy narrative that could only have been written by Hollywood. 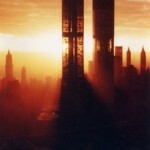 In my opinion the simple reason Shanksville was necessary was that without Flight 93’s chapter the 9/11 story only depicted corporate and military power under attack, and for folks on the street who have no sympathy for corporations and who think the military can take care of itself there was no guarantee the public would be outraged enough to support a never-ending “War on Terror.” But by including Flight 93, America itself became the target, and no one messes with Baseball, Mom and Apple Pie without paying the price. If war was the motive then Shanksville sealed the deal. I grew up as a red-blooded American male which means I was armed to the teeth at a young age, so I recognized in that odd-shaped crater in Shanksville the smoking holes in the ground I used to make as a kid in Alaska where I had relatively easy access to firearms, black powder and explosives some legal and some not. A quick Internet search for impact craters brought me to the NASA Ames research facility images. 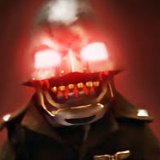 [v] In those photos I immediately noticed something familiar, and I think you will too. By mirroring them it’s easier to see what I mean (lower left.) 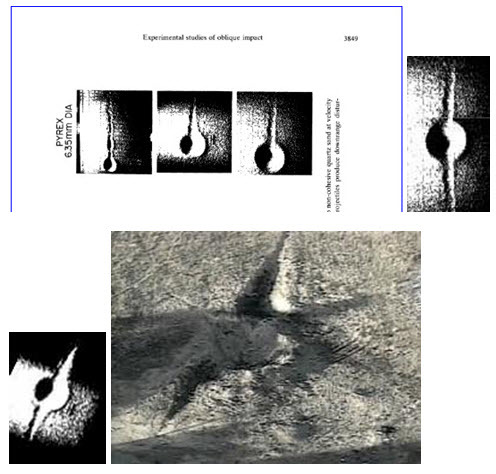 The photo on the lower right is alleged to be the impact crater from a 757, but according to NASA these sorts of gashes are reproducible with projectiles striking at trajectories of less than ten degrees from horizontal. I know from researching every high-speed airplane crash in history that none of the craters at those crashes looked anything like Shanksville and unlike Shanksville all other high-speed crash sites included easily identifiable debris all around the impact crater. The Shanksville crater was unique as a plane crash, but it’s not so unique when viewed for what NASA says it was, and if NASA is right then it can be reproduced. There are very few weapons that can accomplish it, only cruise missiles from what I can tell. Although some witness reports matched the government’s story, some witnesses reported hearing and seeing missiles. [viii][ix] Not all of them can be right. 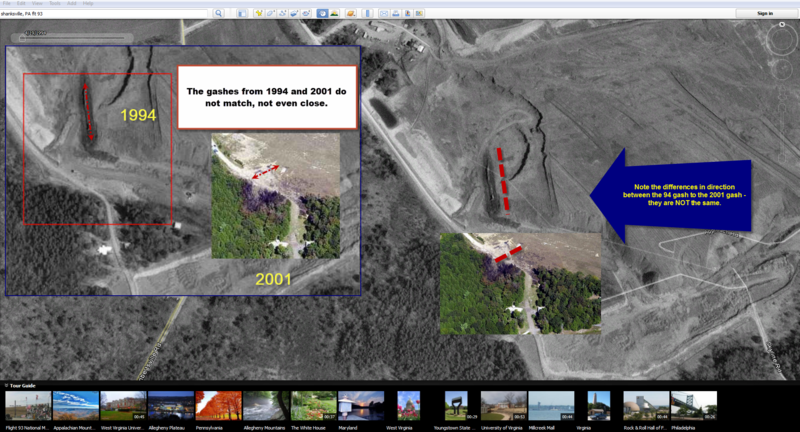 After 9/11 rumors began circulating that the Shanksville gash could be seen in the 1994 USGS photo of the area, but that is a misunderstanding that is easily cleared up by comparing the 1994 photo to the 2001 shots; the gash locations, the sizes, and north-south orientations are different. [xii] Some insist grass can be seen growing in the gash, and many people still believe all it took to produce the crater was for the perpetrators to detonate a bomb in the middle of an old trench, and that they did so to cover-up for shooting down UA 93, or for executing the passengers in a NASA hangar in Cleveland. [xiii] Other rumors were spread that the Shanksville gash was simply dug-out with heavy equipment into which they dumped scrap metal and garbage, and then dropped a bomb in the middle of that. Recently I received a message from a local resident who said that he and his neighbors heard heavy equipment in the area the night before 9/11, and they assumed excavators were responsible for the gash, but in my opinion that makes no sense because if the perpetrators were able to create any gash they wished, then surely they wouldn’t have created one that can be reproduced with two projectiles and an explosive. He may have heard heavy equipment moving about but I doubt they were digging out the trench; it is more likely they were moving-in the supporting cast. Heavy equipment leaves easily identifiable marks on the ground, which weren’t visible in any of the photos. [xiv] Furthermore if the gash had been there for years that would only increase the chances that local residents would recognize it and blow the whistle. Cruise missiles aren’t something a rogue element can get its hands on and then launch in American airspace without it being known by the top of the chain of command, but IF that’s what did happen then to prevent such incompetence from embarrassing the military the authorities would bend-over backwards to cover it up. If a foreign entity launched missiles on American soil under the nose of the American Military, then that is even harder to explain than a rogue element being at fault, so undoubtedly the authorities would do everything in their power to cover it up. If the missiles were launched by the USA on US soil, isn’t that considered high treason? Of course this too would be covered-up. To admit any of the above would be to end the War on Terror and to invite war crimes trials. 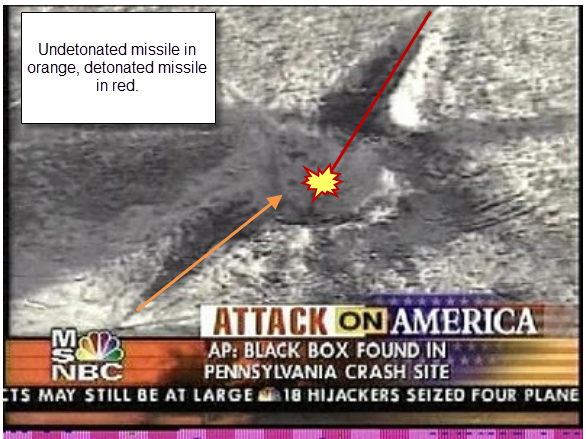 There is no pretty way to paint this picture and I believe that is why it was so important to the most likely suspects that investigators treat Shanksville as an inconsequential side-show. The Shanksville crater is proof-positive that if the 9/11 attacks were not perpetrated by the US government/military against the American people, then they are too incompetent to protect America. Furthermore the evidence of missile impacts suggests that the alleged enemy nations are also involved in the cover-up, because if anybody can recognize missile impacts it would be the military minds of those nations that supposedly have every reason for exposing the fraud. Motive, means and opportunity lead me to the conclusion that if anyone needed proof of the existence of a “New World Order,” look no further than Shanksville, Pennsylvania on September 11, 2001. [v] Gault & Wedekind, Experimental studies of oblique impact, Lunar and Planetary Science Conference, 9th, Houston, Tex., March 13-17, 1978, Proceedings. 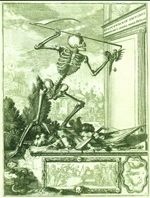 Volume 3. (A79-39253 16-91) New York, Pergamon Press, Inc., 1978, p. 3843-3875. The documentary mentions Shanksville @ about 1hour – 23minutes. This is closer to the truth than Steve De’ak has come with this latest analysis, in my opinion. Maybe you could use your words to describe it. Please don’t spam your links without an explanation of what you mean. I don’t spam on your page, do me the same favor. good article– thank you for all you do! Steve, would you like to be a guest on my radio show to talk about 9/11 and Gerald Holmgren? Any Tuesday you are free from 10-12pm you are free to come on.